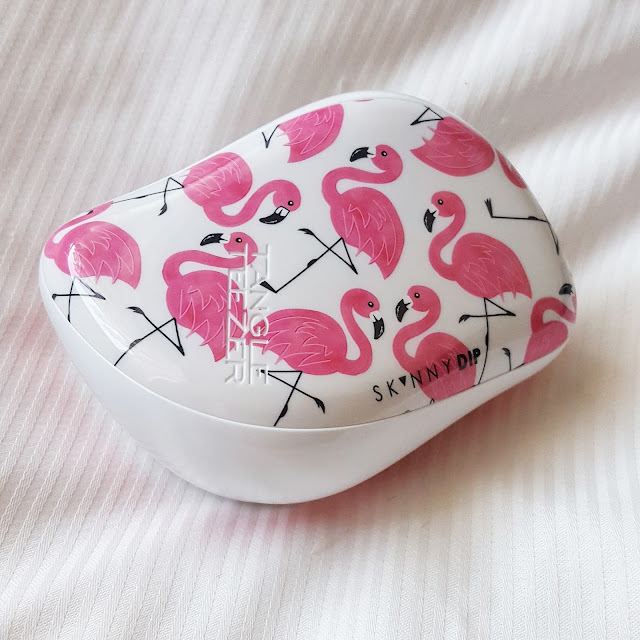 I mean, I know what you're thinking Toni is late to the party again blah blah blah but you're right when every blogger was banging on about the Tangle Teezer I was just sitting there with my arms folded saying "It's not for me". 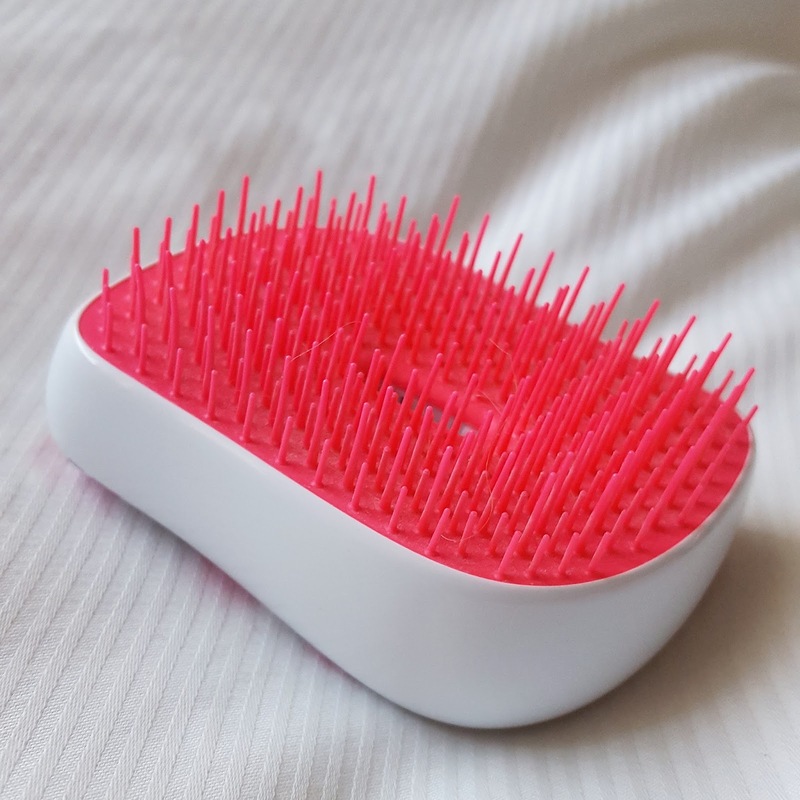 This was mainly because I heard so many people with gorgeously thick hair saying it worked so well for them and as I have very fine hair I thought the Tangle Teezer would just rip mine out...I was wrong. I recently went into Boots because I need a compact brush to carry in my bad to and from London every day. I have bought so many small brushes in the past and really hate the little handles on them because they do take up room so I was looking at the Tangle Teezer' s and thought that as a brush this is pretty much exactly what I was looking for. They aren't the cheapest of brushes but this Flamingo print Skinny Dip was actually a couple of £ cheaper than the normal boring ones so I just bought it. I was a little apprehensive that it would just rip and knot up in my fine hair but actually I was really impressed. As you can see there are different bristle lengths which actually stop the brush from pulling at your scalp which is my biggest problem. As my hair is fine, when it knots up the thicker bristles of my normal brush just pulls and yanks to get them out which in turn tugs at my scalp which basically flippin' hurts. I particularly like using it when I have added waves in my hair as it doesn't straighten them too much. The other week I was out in really high winds and I was bloody dreading brushing my hair because it does get so knotty but I have to admit using this on my hair wasn't actually that bad, it snagged a little, but nowhere near as much as a normal brush would! If you have quite fine hair but a lot of it and are considering buying a Tangle Teezer I would definitely recommend it!! They aren't the cheapest brushes but it actually ticks a lot of boxes for me including that it's compact and lightweight to carry around in my bag! What are your thoughts on this cult tool?